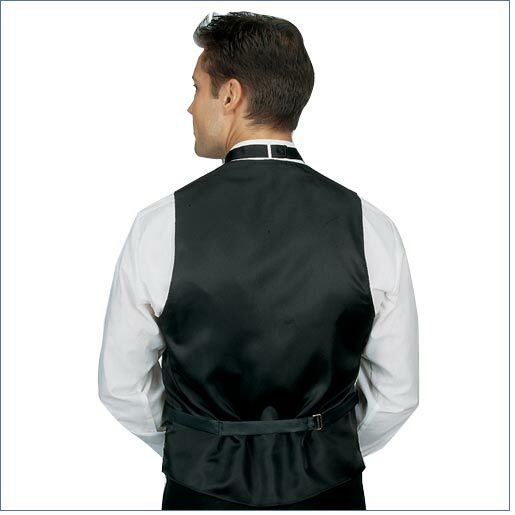 Beautifully designed full-back formal vest. 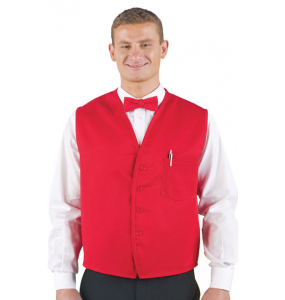 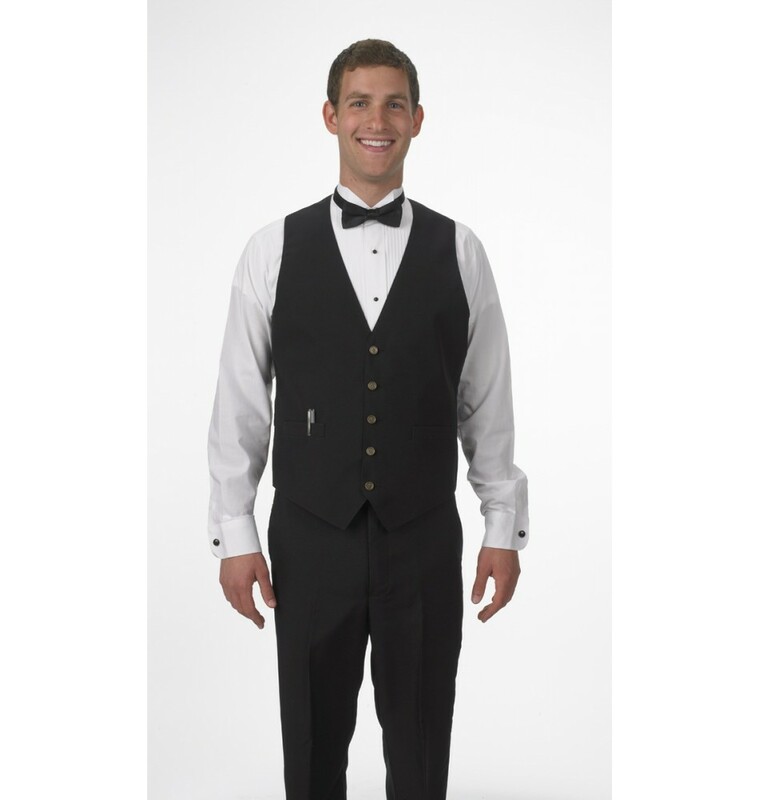 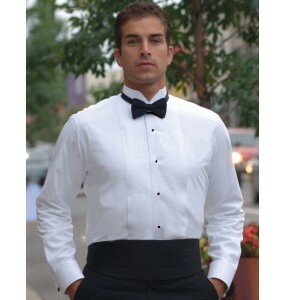 As the vest of choice for both formal wear companies, catering companies, banquet servers, and restaurants, our Full-Back Formal Vest is an all around performer! 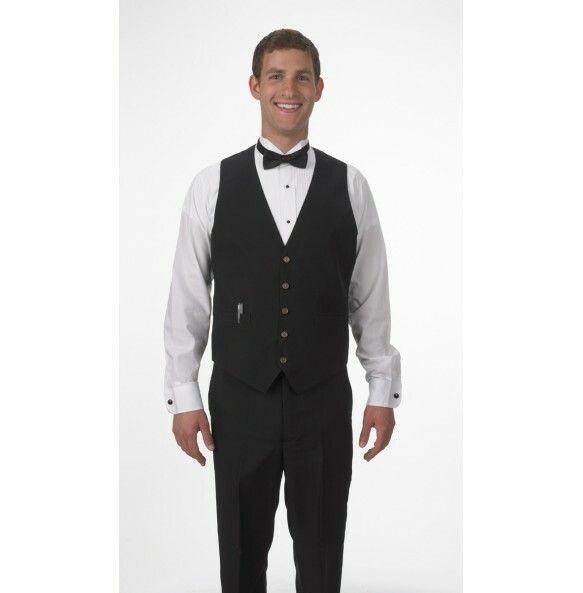 This vest is formal enough that it can be worn to high-end parties, but it is durable and perfect for banquet servers, waiters, waitresses, restaurant and catering companies, banquets, and more. 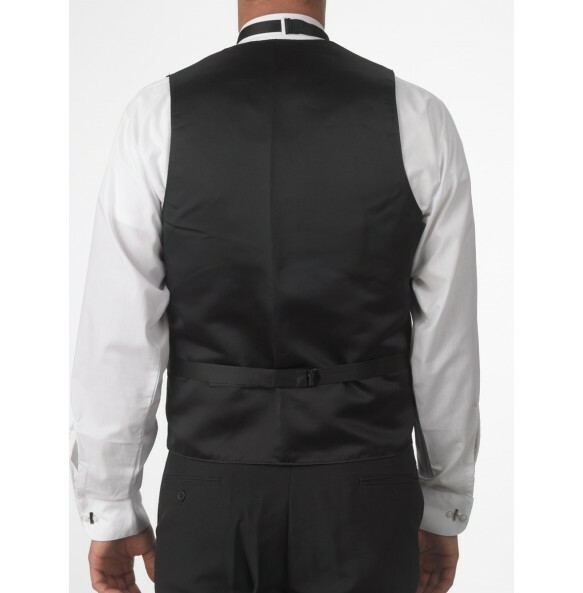 Our Full-Back Formal Vest is stain resistant and machine washable. 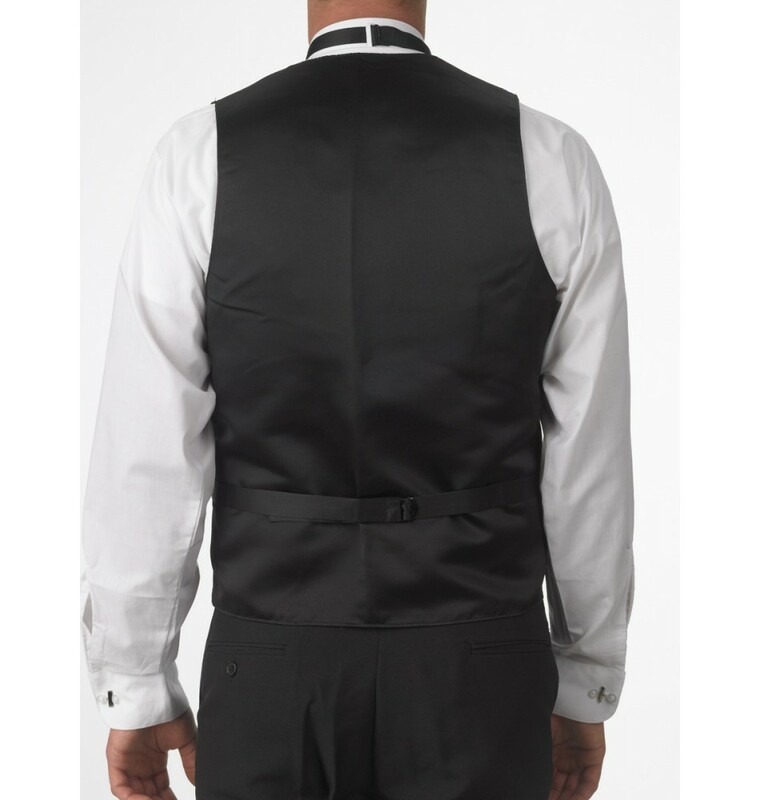 If you're needing something custom embroidered, call us at 760-888-2999! 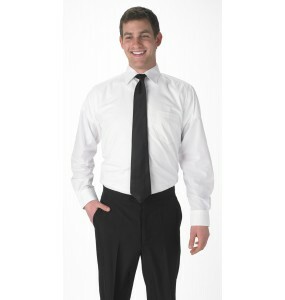 Free shipping on any order of $89 or more! 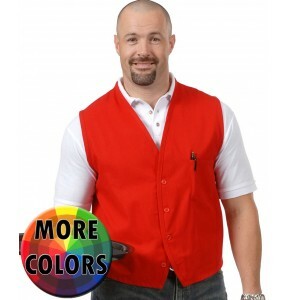 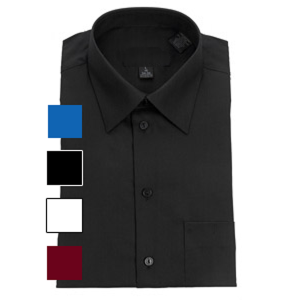 Anti-stain, anti-wrinkle, machine washable 100% polyester fabric.